A warm, anatomically shaped gloves for ice and mixed climbing, mountaineering and skiing. 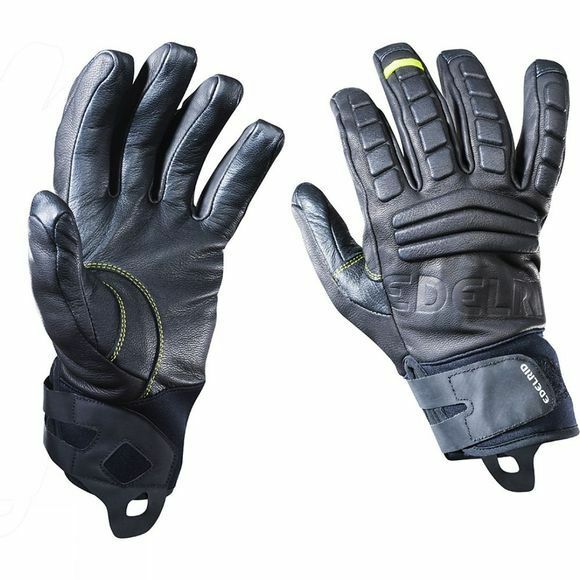 The Sturdy Glove is made from tough goats leather with synthetic leather inserts at the back of the hand and integrated protectors for the knuckles. A warm fleece lines the back of the hand and a thin fleece lines the palms.